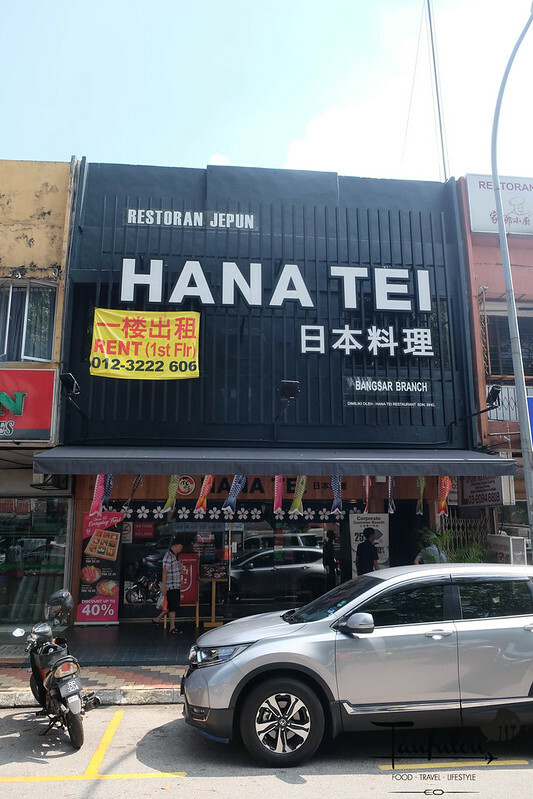 Hana Tei Japanese Restaurant is one of a brand that I heard my Kajang friends talked about it. One of their top choices in their area. Since then, the brand had spread its wing to KL. 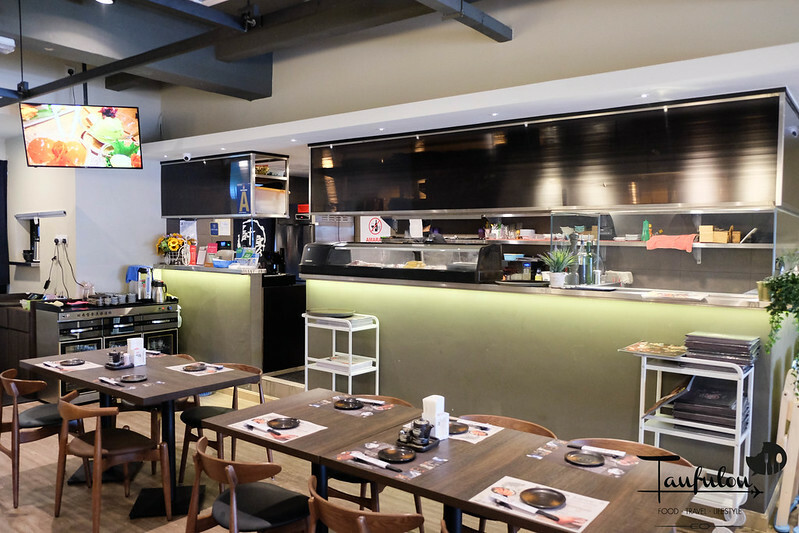 Operating just about less than 6 months in Lucky Garden, Bangsar. 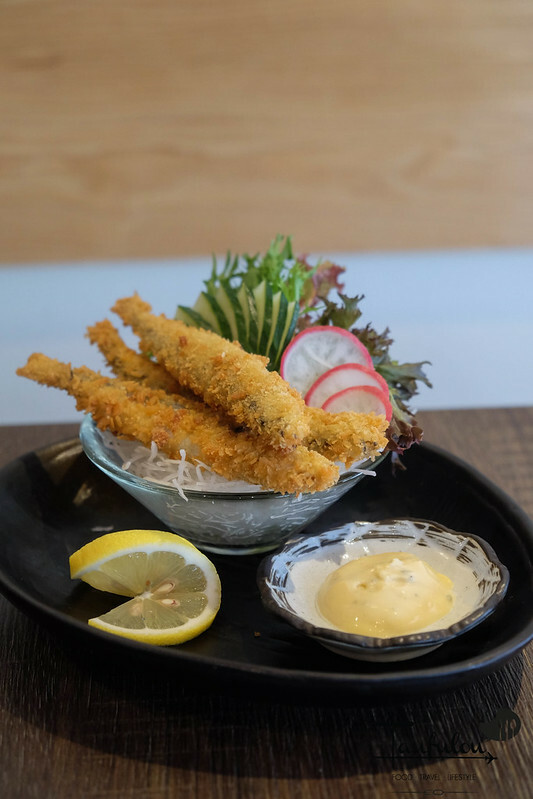 Starting off with Fried Shishamo. A fish that can be eaten just like that without worrying on its bone. Deep fried and to pair along with their house special mayonnaise. 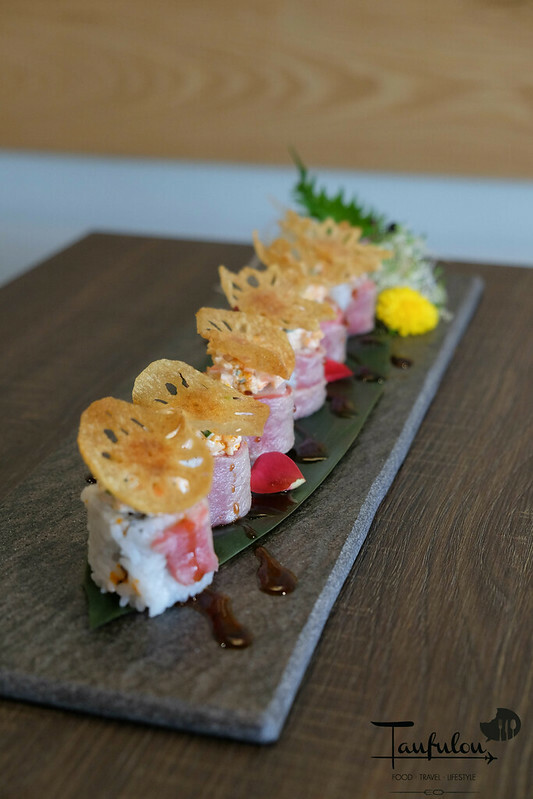 Gyu Maki ( Australia Striploin Roll ) is new to me. 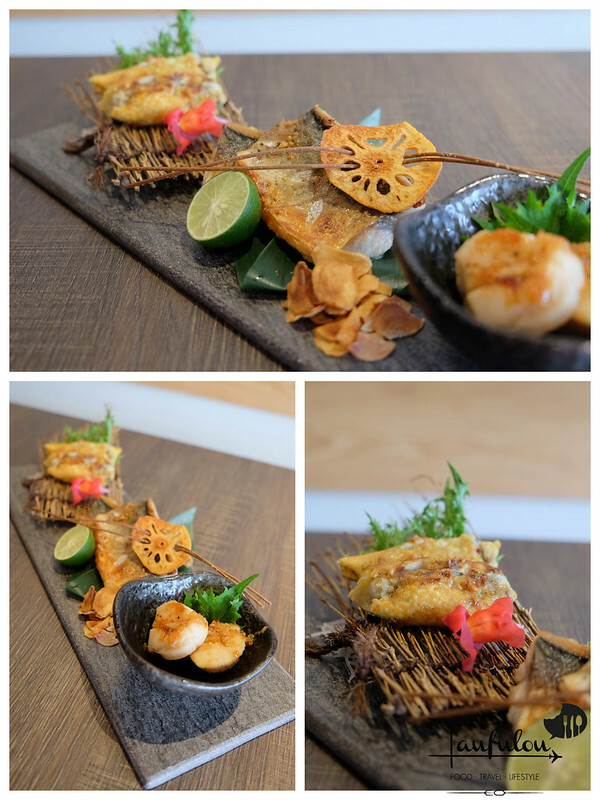 Topped with house salad and fried thin cut lotus root. A nice combination of flavour and texture from salty, sweet, mild sour from mayo and nice aroma from the wagyu. 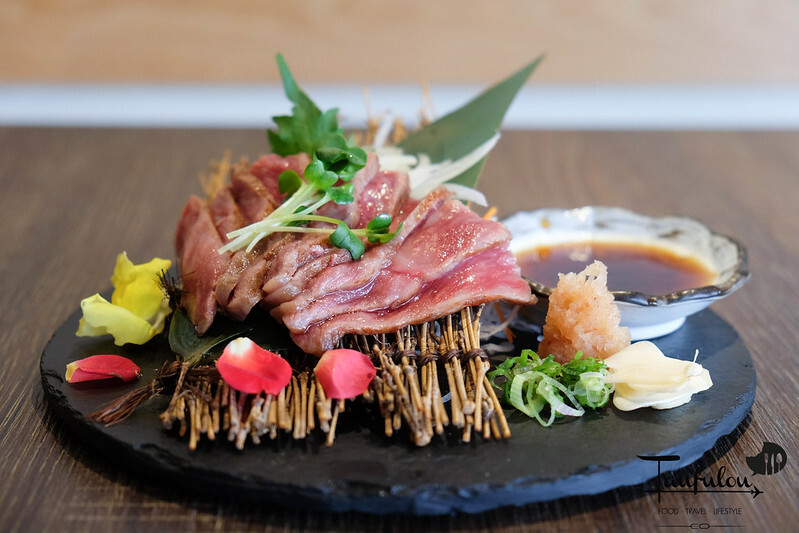 A slight crunchy texture from lotus root, and soft texture of wagyu and do not need wasabi as the house special sauce on the plate is to dip along. 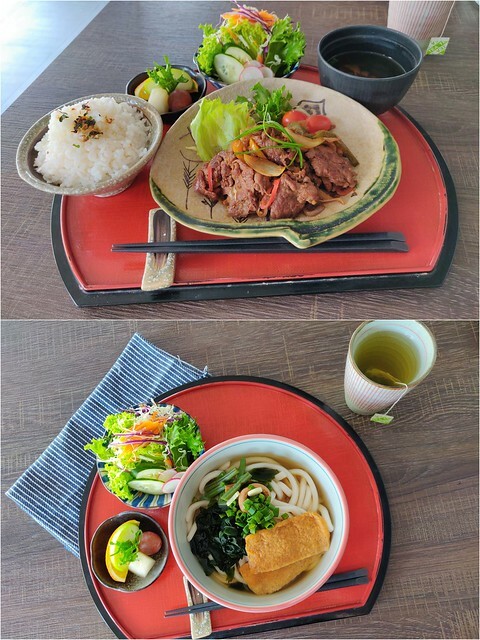 For their set, I find quite worth it as currently they are running lunch promotion (every day including weekend). 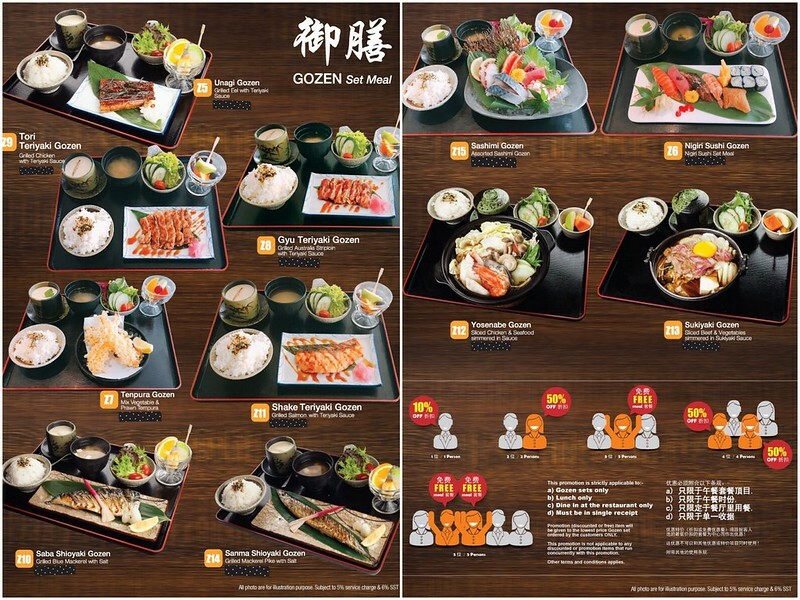 Love their Yosenabe Gozen as it is served with a large piece of scallop, oyster, prawn, chicken, clams and veggies. Soup is clear and aromatic. Here you go on their lunch special menu. the more people you bring, it seems more discounts to me. 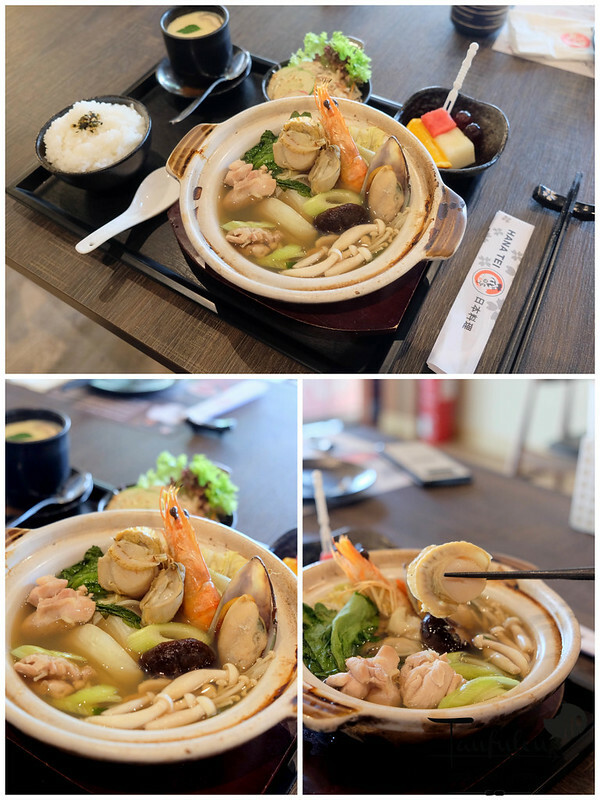 In love with their Shake Sashimi / Sansyu Moriawase that serve in 3 different THICK CUT. Rarely you will get such a cut and look at the colour of tuna. This cut is easily 1cm – 1.5cm thick and a piece inside your mouth is satisfying. A mouthful bite. 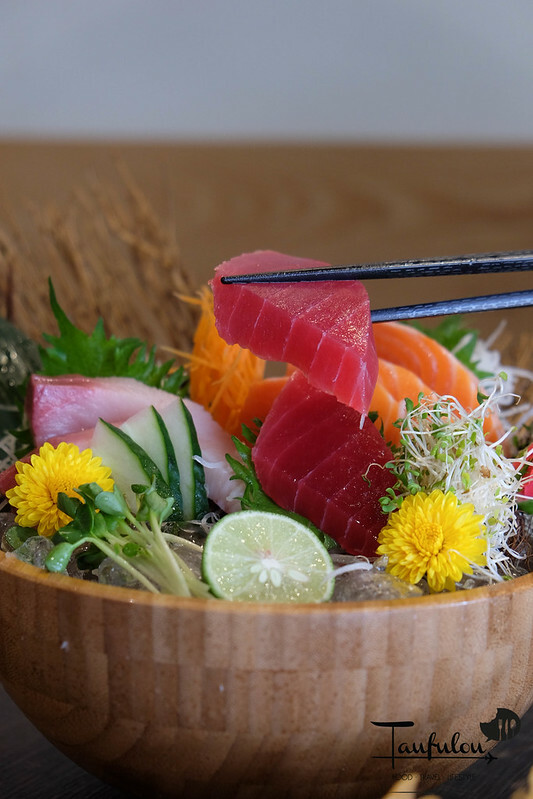 Sashimi indeed is fresh. 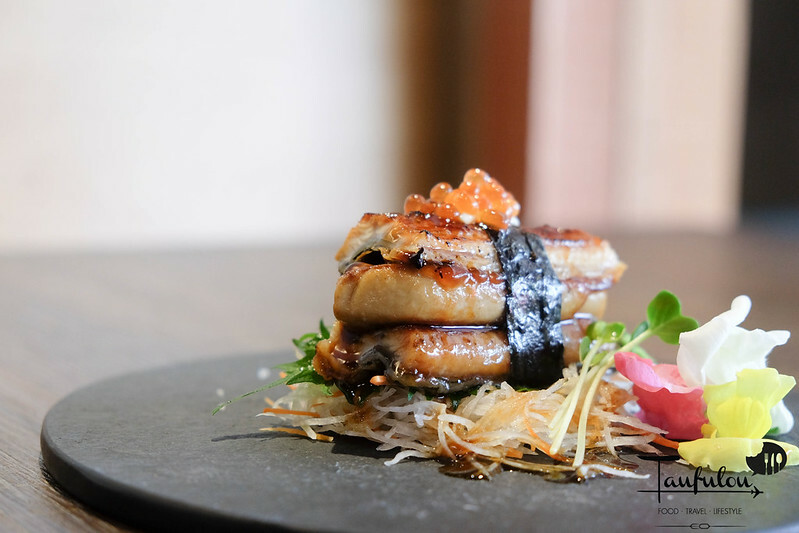 Their outlet best seller is this Unagi Foie Gras Sushi @ RM 35. 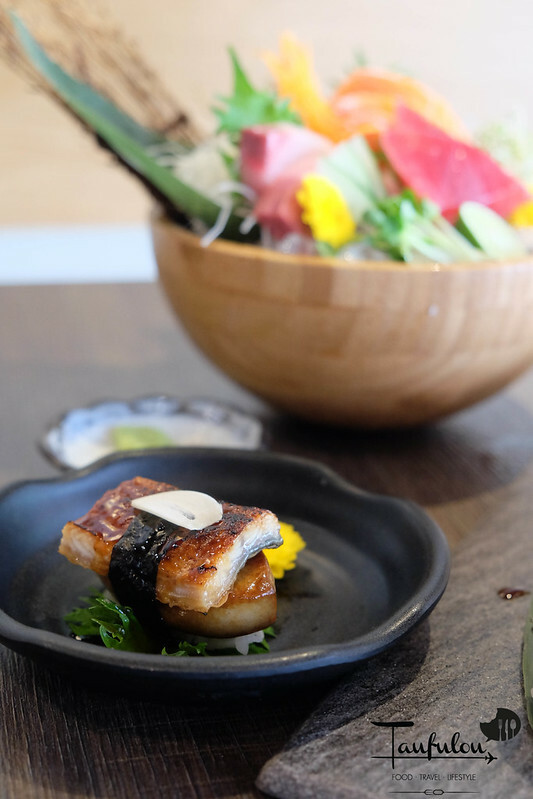 They are quite generous with the cut of unagi and a large piece of foie gra at the bottom with both the ingredient is bigger than the rice. Just the classic way of presentation. It is so thick that I could not make the 1 bite sushi. This have to be 2 bites as my mouth is not that big. Soft, juicy and pefect! Foie Gras Sandwich would be highly of the day. A piece that value worth for money. At RM 38 you get 2 pieces of unagi sandwich with a piece of foie gras. 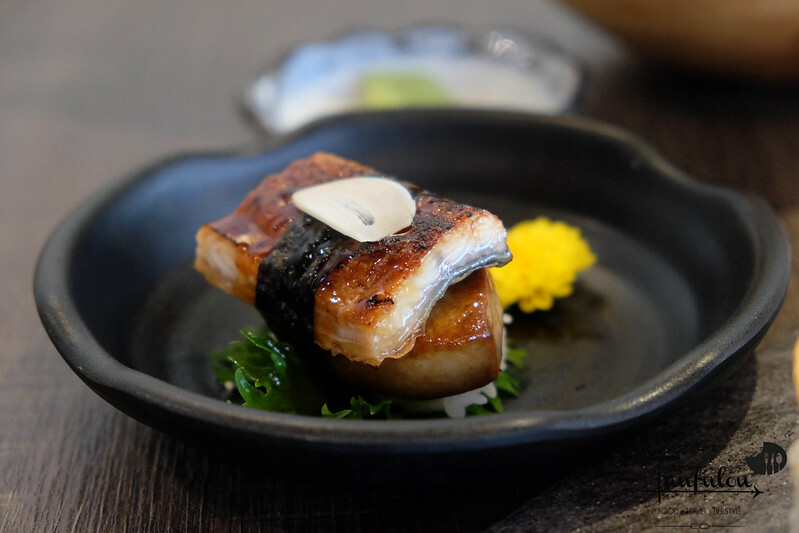 Love the glaze thick soy sauce that gives a hint of sweetness with bursting aroma from foie gra, a nice creamy texture just blends well with the sauce and unagi. – a recommended dish. 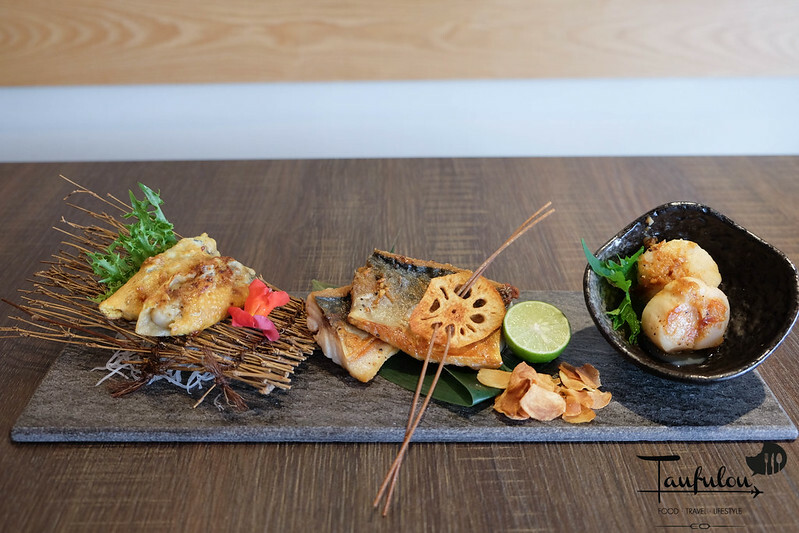 The house special trio sushi, will be available 15th April onwards. 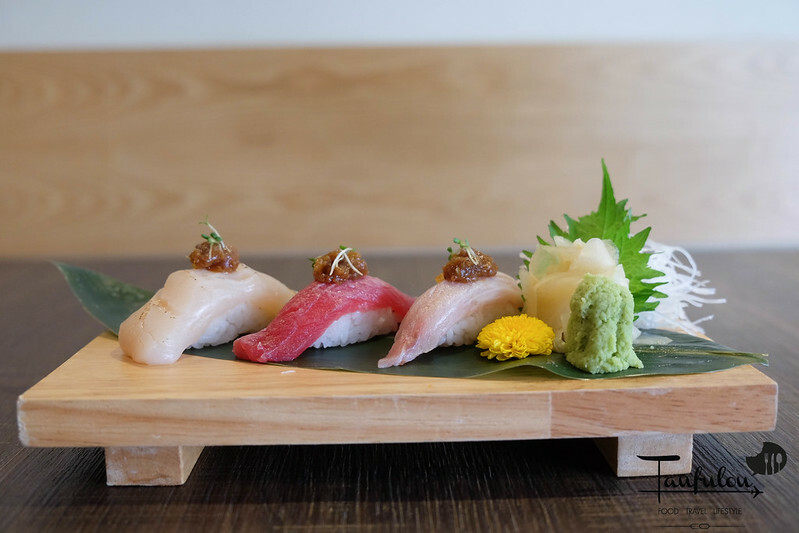 I pick mine with Hamachi, Maguro & Hotate Ume Yuzu. Simple and delicious. The unique part of this is they serve with their house special ume sauce on top. 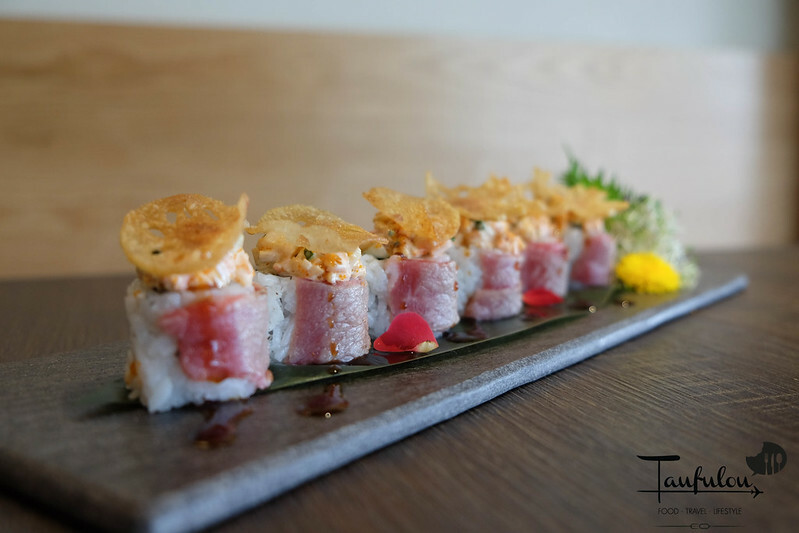 Just put a piece into your mouth without dipping into our usual soy wasabi sauce. I find it, does not go along. Best to eat it raw with ume on top to give you a twist of flavour. 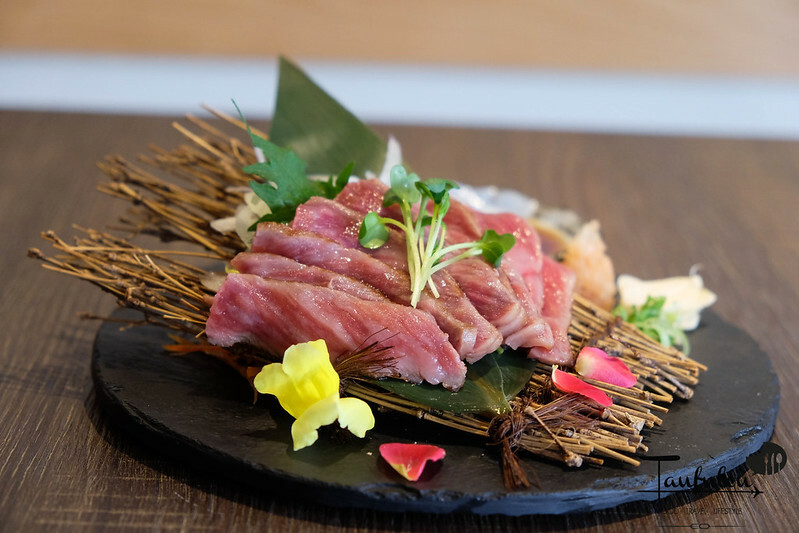 second highlight of the day is Wagyu Takaki @ RM 68. It does look raw in first sight, but after you eat it. It is cooked to perfection. 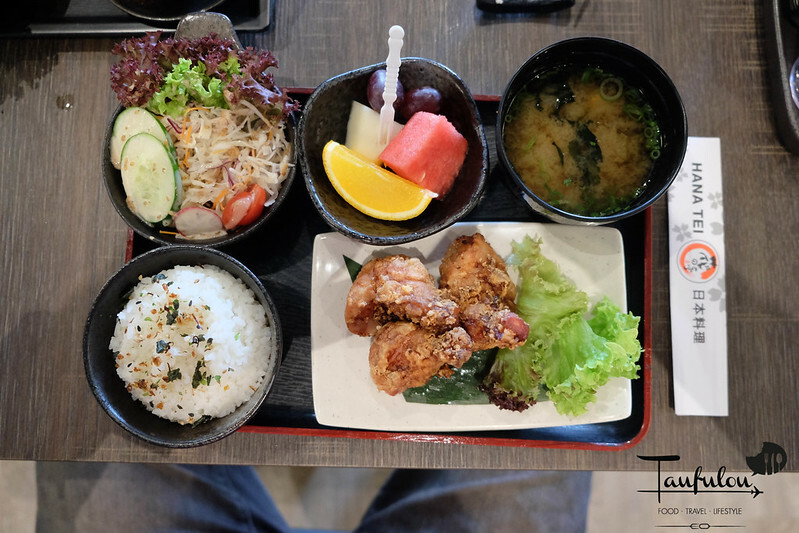 Eat a piece could be a bit blend but with Hana Tei style, it is bursting with flavour. 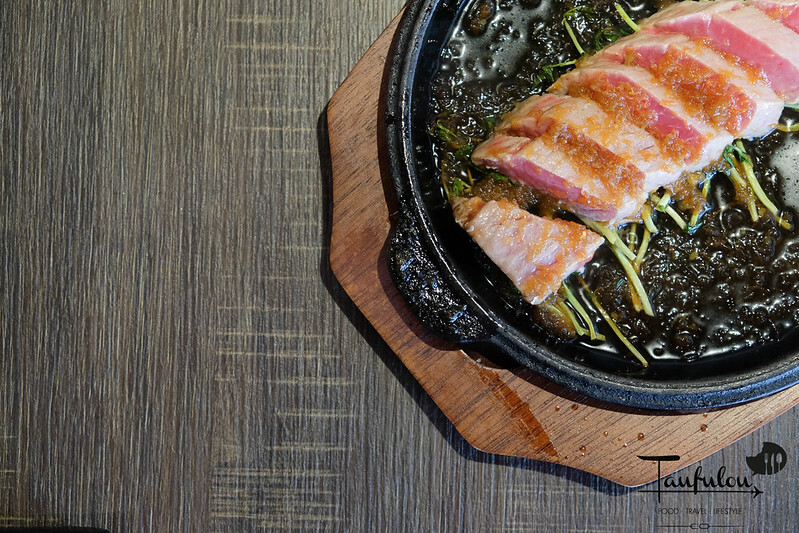 Take a piece of wagyu, add in seasoned white radish, scallions, a slice of garlic – roll it up then dip with house special sauce. A great combination of flavour. 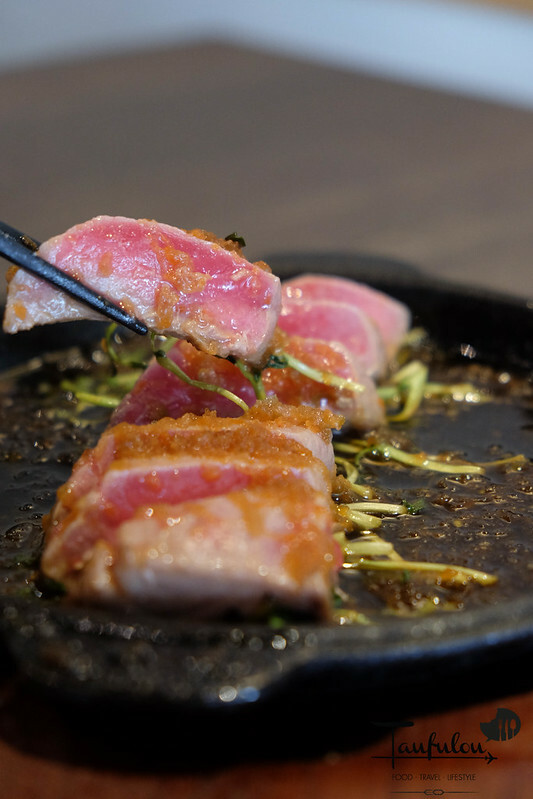 Maguro Wafu Steak @ RM 38 Premium Tuna with homemade chef special sauce. 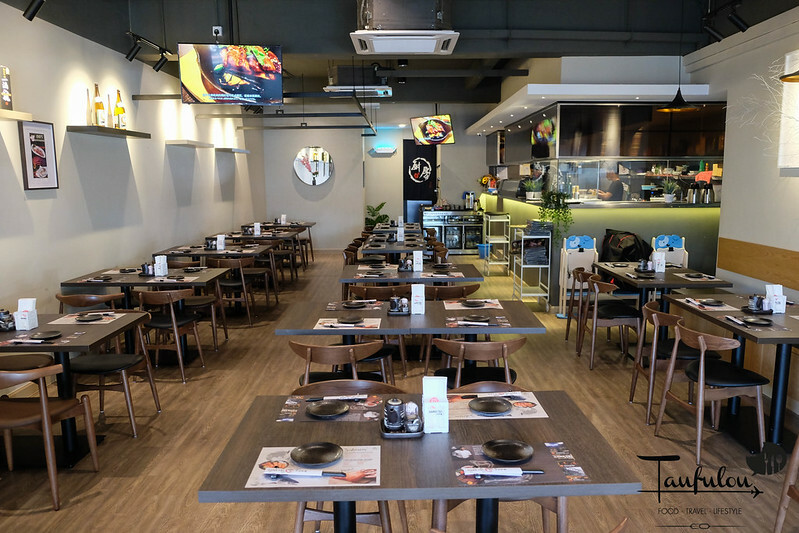 Starting 18th April, they will be launching their lunch set as the Fried Chicken set starts from RM 9.90 for lunch on weekdays. 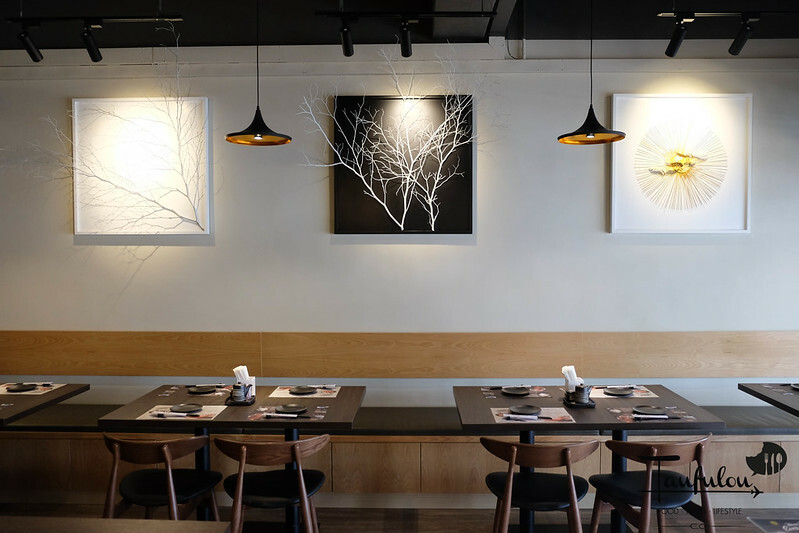 Besides that, you can choose Gyu Shogayaki or Kitsune Udon. 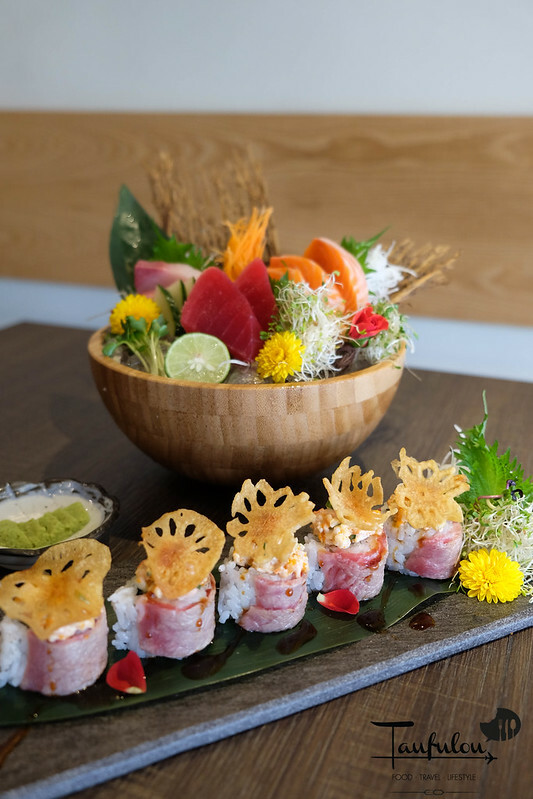 With their quality of sashimi, sushi and wagyu, certainly do not mind to come back again for dinner. Parking here during day time could be a bit of challenge. I park at road side on weekend at my own risk. So far it is alright. Night parking here will be much easier as the place is less busy. 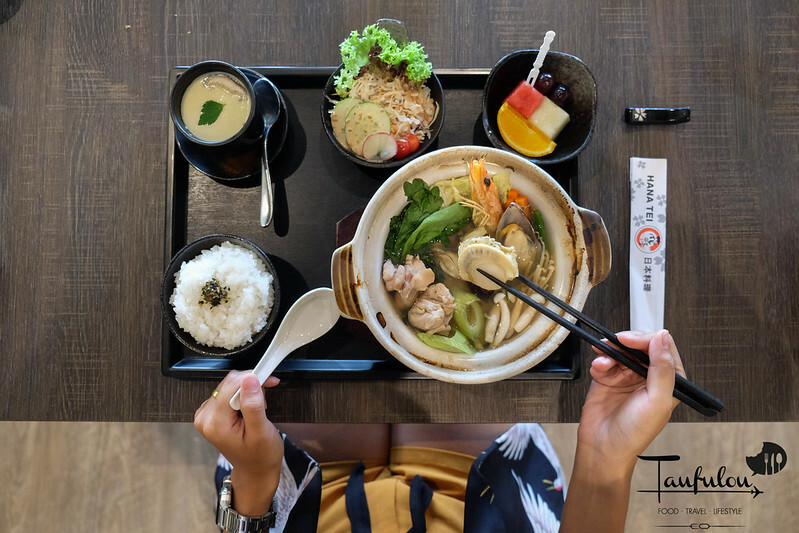 One more place to hunt for if you are a Japanese food lover.